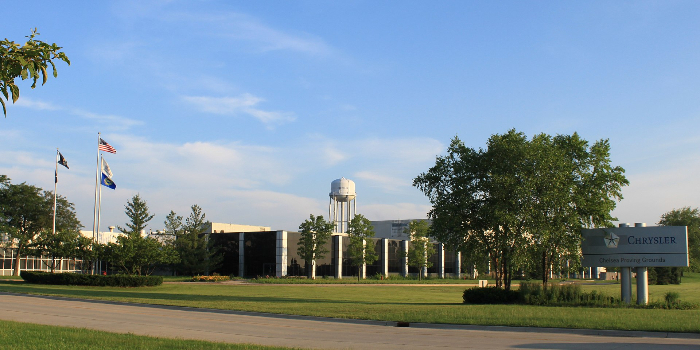 FCA US has announced that it has invested more than US$30m at its Chelsea Proving Grounds in southeast Michigan to further testing and development of autonomous vehicle and advanced safety technologies. The all-new facility, which begins testing programs this month (September), features a dedicated autonomous highway-speed track, 35-acre (14.1ha) safety-feature evaluation area and a high-tech command center. The facility will allow for testing of various levels of autonomy and enables the company to evaluate FCA vehicles using test protocols from third parties, such the Insurance Institute for Highway Safety (IIHS), US New Car Assessment Program (NCAP) and European New Car Assessment Program (Euro NCAP), plus additional automatic electronic brake test simulations. The autonomous highway-speed track offers the capability to develop autonomous vehicle systems under a wide range of challenging environments, including obstacles, tunnels, varying road lighting conditions, and interstate-style exit and entrance ramps. The command center covers more than 6,500ft² (603m³) and houses computer equipment vital to GPS capability and test vehicle communication. The ADAS facility accommodates testing of advanced iterations of automatic emergency braking and automated parking technologies on a new 35-acre paved test facility. Chelsea Proving Grounds, which employs approximately 900 people, opened in 1954. Having undergone numerous expansions, it covers nearly 4,000 acres (1,620ha), boasts a road-surface total of 100 miles (160km) and features off-road replicas of the Rubicon and other trails.